Well I guess I am the first one here so I don't really have other posts to copy the format of, so here we go. 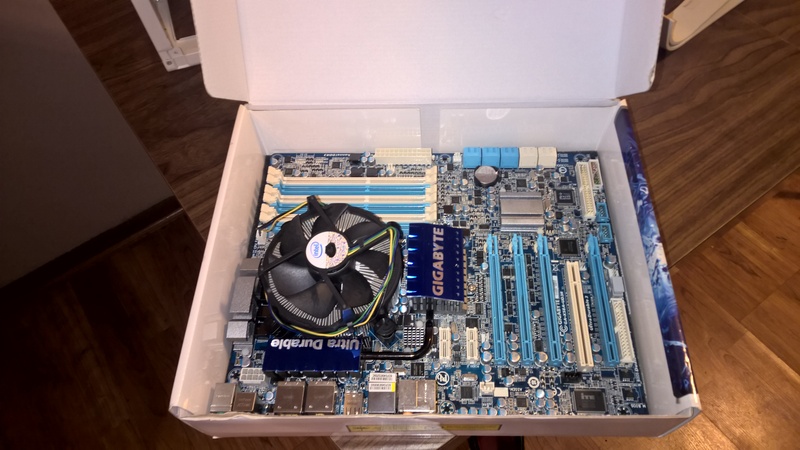 The hardware I have so far is Gigabyte X58 motherboard with an i7 980x CPU. It is not the newest board out there but it looks really amazing and its colors and looks fit this theme perfectly. The case I am starting with is a Bitfenix Prodigy M. The fact that I am starting with an mATX case but have a full ATX board can probably give you some clues about where I plan to go with this. It will be a couple of days before I update this again but I fully plan for this mod to be amazing and incredible. Woohoo! Congratulations on being first! I'm very excited on how this mod will turn out. Best of luck and I look forward to the next few pictures you can show off! Well I completely lied about not doing more work for days or whatever. I did a bit more work on it tonight. 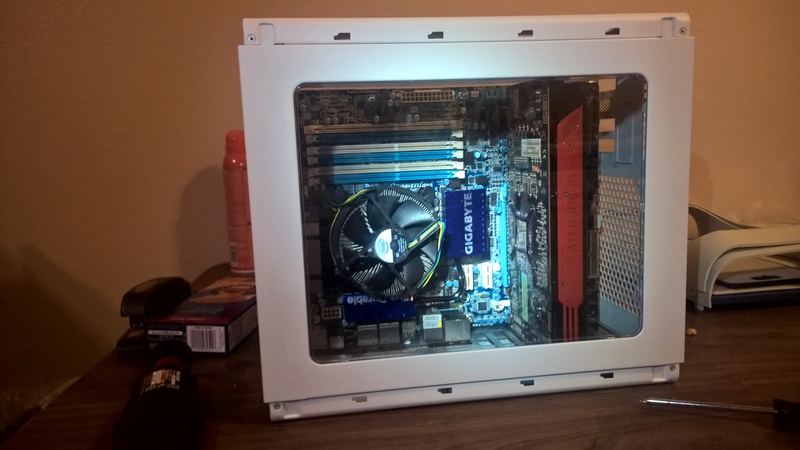 I found this case on craigslist for $20, and it has the added advantage of having a whole computer inside of it! The computer is some old file server with 2/3 of the drives broken and the rest failing, plus the motherboard is really old and bad. The good news is the case is perfect for having its motherboard tray ripped out and turned into a part for my case mod. Well no pics for today because when I was drilling out the rivets on the Prodigy motherboard back-plane my dremel died I ordered a new one on amazon along with some cutting wheels to cut through the steel of the new tray. Because of this setback in the budget I will now need to make my liquid cooling systems out of mcdonalds straws. Ok maybe not, but I will have to get creative. On the plus side my plan for the case mod is working out really well and everything should fit perfectly. Good stuff bud. I miss those old Gigabyte blue colors, I had the UD5. Can't wait to see how this turns out, compact builds are always interesting. Yea it is a bit of an older board but with the 980x is still not a half bad CPU and man its a great looking board. The blue color theme is amazing and fits great with this builds theme. 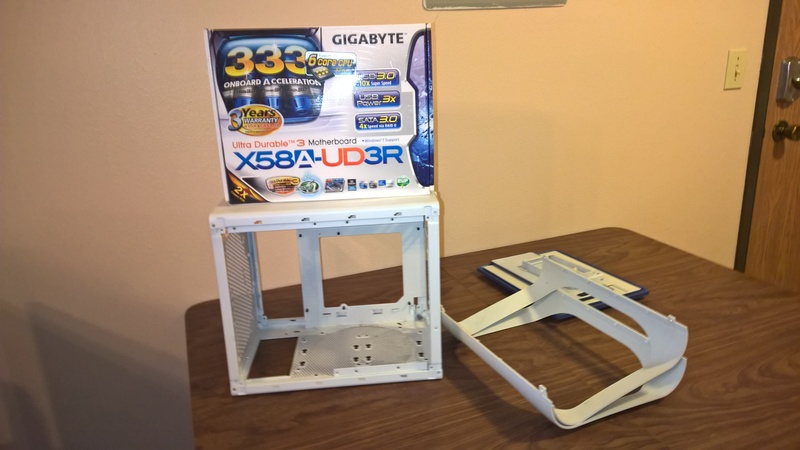 I have wanted to do an ATX mod on this case for ages now and I have no doubt it will be amazing once I get it done. Well today I got a chance to work a bit more on this project. 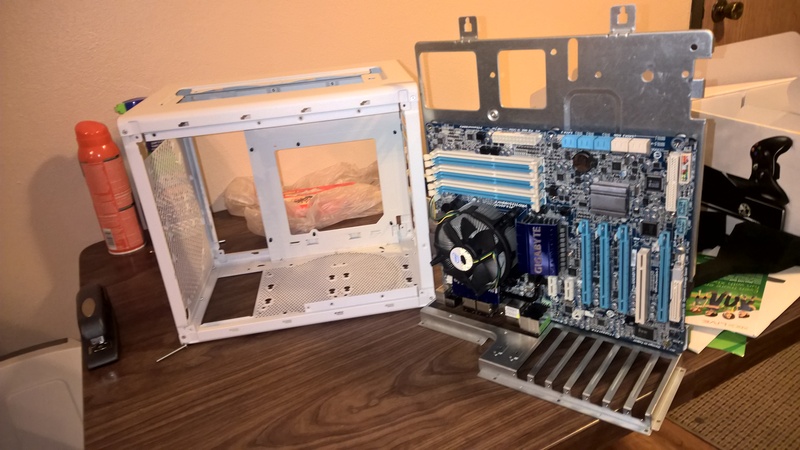 I cut the motherboard tray down so that it fits inside the case now. I did a test fit just to show kind of how it will look in the end, except the final deal will be have back / bottom panels, a gigabyte GPU, and liquid cooling. It looks great already though which makes me excited to get this thing done. 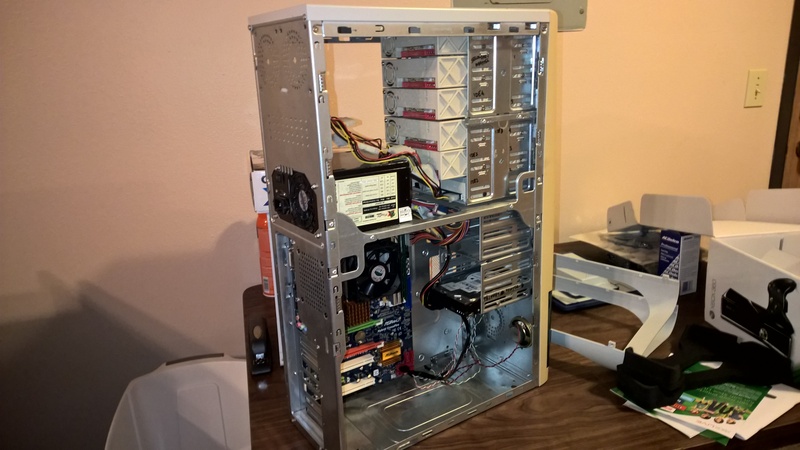 Very nice, do you plan on inverting the case or keeping it long ways? Thanks. I plan to keep the case with the motherboard / GPU outputs facing down. The legs on the bottom should lift it off the ground enough to allow everything to plug in. 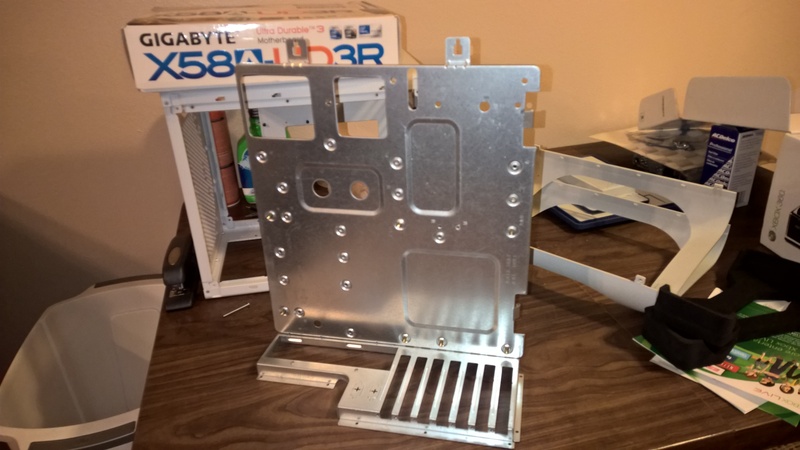 Right now I actually have the frame of the case taken apart so that I can cut out the chunks with holes I don't need and splice in some solid metal in their place. I will post and update with some pics once I have more of that finished.